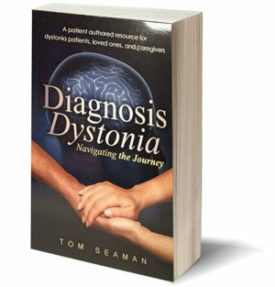 I have lived with dystonia and chronic pain for nearly 20 years. In addition to many treatments I have used over that time, I constantly work to naturally increase the production of certain chemicals in my brain to reduce pain and help with other symptoms. 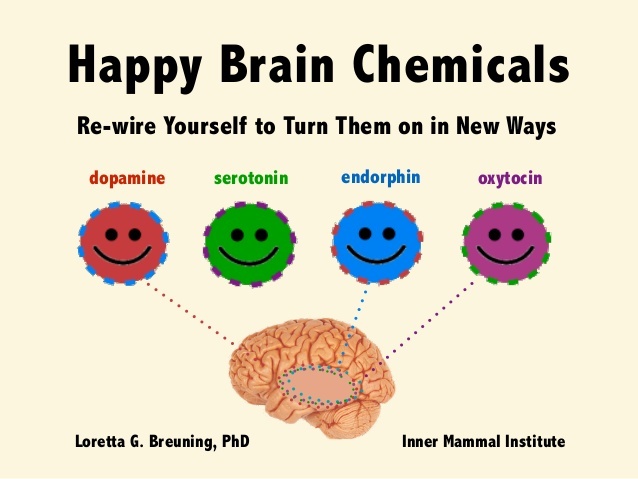 Among them are neurotransmitters called dopamine, serotonin, endorphin, and oxytocin, which are often referred to as the “feel good” or “happy” chemicals. They can be as powerful as drugs for pain, depression, anxiety, and other conditions. Let’s play around with endorphin, the body’s natural pain killer (our own private narcotic). Practically all of these things are at our disposal, so we should try and take advantage of them as much as we can. Not all of them will be of help (or interest) to everyone, but I wanted to share many of the options available to us. I also recognize that when we are in severe pain and feeling mentally down (I have been there!! ), these things are not always easy to do or yield results the first or first few times doing them. If this is the case for you, maybe start with one thing you enjoy and do your best to make it part of your lifestyle. Being consistent gives us a greater chance for immediate and long term benefit. When people ask me the different things I do to help control my dystonia symptoms and manage my chronic pain, I usually mention many of these things. I can’t say for sure how much they play a role, but when I do not do them on a regular basis, pain is more severe. I also experience more “down” moods and higher anxiety. Among the many things I do, one of my favorites is watching a sunset. Below is a photo of one of thousands I have taken. 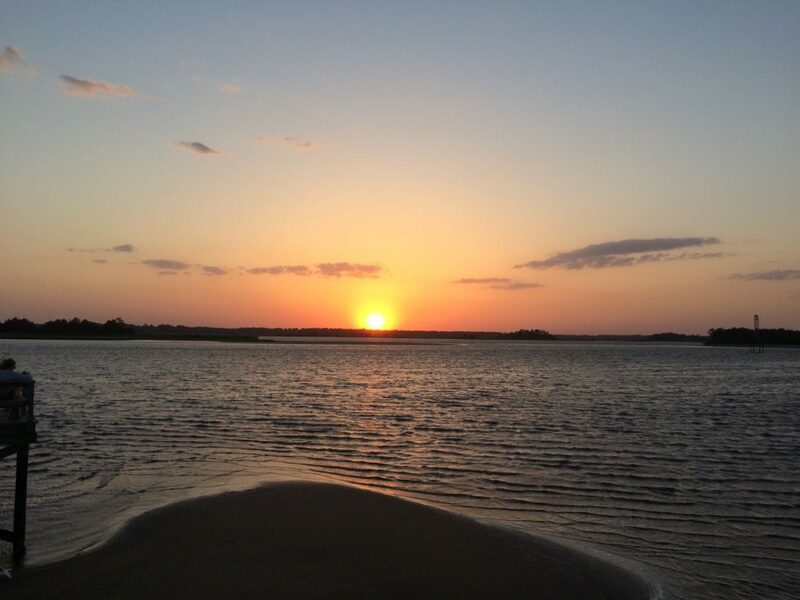 Being near the water that time of day brings me incredible peace. I hope you also find things that bring peace and joy into your life. Thank you Nikki. You have done so much to help yourself and share that journey with all of us, for which we are very grateful. Keep up the great work inspiring so many of us! Tom, thank you for writing this article. So many of the things you listed are right there for me. Just have to pick out a few and make it part of my daily routine. I know you always say baby steps. Thank you again for this article. I appreciate that very much Tara! Thank you for the list of things we can do to encourage our happy chemicals to kick in. I have done several of them, and I have to agree, I’m pretty happy when I’m doing them. That’s great to hear! I am finding that even after doing some of them there is a lingering happy affect for hours up to days. Feeling well is such great motivation. Thanks for the message, I needed to read it today. I’m a few more days away from getting botox. At pt I’ve been pretty emotional after my episode I had, especially because of my lack of movement AND requiring nerve pain… I haven’t been moving or exercising more or less because of the fear that takes over knowing what I will feel like, AFTER EXERCISING. which much of the time it is a “good pain” but my body reads it as “bad” pain until I wake up the next day. So I’ve been using more of the natural ways to help get me over that anxiety to forget what happens directly after. I question if they are effective to keep doing it cause I still hurt as much as I do… and the answer is, yes it is effective and I need to keep doing that, because I am super proud of where I am compared to a week ago. Sometimes reading your stuff just makes it click. Thanks again! I would be pretty emotional after that episode as well. It is scary and makes it hard to trust the body, which causes more restriction and pain. I’m so happy to hear that you are finding the things you are doing to be effective. Don’t ever forget that feeling and trust that your body was meant to move and just let it flow. Maybe keep that word in your mind as you move. I find dancing to be really helpful for teaching/re-teaching me how to flow and move smoothly.